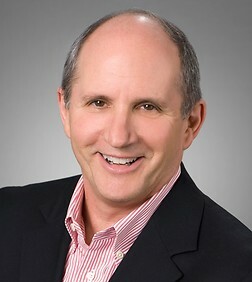 Larry Braun is the former Leader of the firm’s Corporate Practice Group. In addition to his law degree, Larry holds an M.B.A. in Finance from the Kellogg School at Northwestern University and has attained the New Jersey C.P.A. Certificate Requirements. He was previously a managing director of the largest private investment banking firm on the west coast. Larry is resident in the firm’s Los Angeles office where he represents public and private companies in the areas of mergers and acquisitions, corporate finance, securities and general business. Larry is an advisor to clients ranging from family-owned businesses to multi-national corporations in many diverse industries such as high-tech and computers, healthcare, consumer goods, aerospace and defense, and grocery and food service. His principal areas of practice are general corporate law, corporate finance and securities law, mergers and acquisition transactions, contractual matters (including licensing and distribution arrangements), healthcare transactions and general business counseling. Represented Prime Shine, LLC in its sale to Mister Car Wash Holdings, Inc. Represented Intrepid Investment Bankers LLC in its sale to MUFG Union Bank, N.A. Represented a 50% shareholder of Marantz Brothers, Inc. (d/b/a Cooperative Purchasers), in the sale of its assets to Caldic USA Inc. Represented MNS Engineers, Inc. in its acquisition of the assets of S&C Engineers, Inc. Represented Hehr International Inc. in its sale to Lippert Components Manufacturing, Inc. Represented Qual-Pro Corporation in the sale to SFO Tech Inc. Represented Karoun Dairies, Inc. and Central Valley Cheese, Inc. in their sale to Parmalat S.p.A. Represented Wencor Group, LLC in the acquisition of Fortner Engineering & Manufacturing, Inc. Represented Calpipe Industries, Inc. in its sale to Atkore International Group, Inc. Represented Dacor Holdings, Inc. in its sale to Samsung Electronics Co. Represented Shultz Steel Company in its acquisition by Precision Castparts Corp., a division of Berkshire Hathaway Inc. Represented REM Optical Company, Inc. and its owners in its sale to De Rigo Vision S.p.A. Represented 888extramoney.com LLC d/b/a Extrameasures in its sale to BlackHawk Network Holdings, Inc. Represented Universal Protection Service, LP in its acquisition of assets of Olympic Security Services, Inc. Represented Wencor, LLC in its acquisition of Silver Fox Services, Inc. Represented C.R. Laurence Co., Inc. in its sale to Oldcastle BuildingEnvelope, Inc. Represented OmniForce LLC in its purchase of stock of 365 Productions, Inc. Represented Marketing Software Company, LLC, in its sale to Valid USA, Inc. Represented J. E. DeWitt, Inc. in its sale to Southern Counties Oil Co. and Cardlock Fuels System, Inc. Represented Premier Sports & Entertainment, Inc. in its sale to Zealot Networks, Inc. Represented Hall & Foreman, Inc., a multidisciplinary design firm, in its sale to David Evans and Associates, Inc. Represented Professional Hospital Supply, Inc. in its sale to Medline Industries, Inc. Represented GNW -Evergreen Insurance Services, LLC in a sale of substantially all of its assets to a subsidiary of Hub International Ltd. Represented LRJ Enterprises, Inc. and certain affiliates in their acquisition of Marketing Software Company, LLC from V12 Holdings Inc. and Datagence, Inc. Represented Lexington Acquisition, Inc. in the purchase of assets of California Art Products Co. Represented Mux Industries, Inc. dba Ram Board in a sale of assets to a subsidiary of Garland Industries, Inc. Represented Universal Protection Service, LP in its acquisition of all the stock of Wexler Enterprises, Inc. Represented Universal Protection Service, LLC in its acquisition of assets of Castleguard Security, Inc. Represented the owners of The MPB Group, LLC (the Beryl Companies) in its sale to Stericycle, Inc. Represented PRV Aerospace, LLC in its acquisition of the stock of Astro Spar Inc. Represented Gold Tip, LLC in the sale of all of its membership interests to Bushnell Inc. Represented the owner-managers of InfraConsult LLC in a sale of their company to HDR Engineering, Inc. Represented Security Forces, LLC d/b/a Universal Protection Service in its acquisition of the assets of Regent Security Services, Inc. Represented Arcadian Management Services, Inc. in its sale to Humana Inc. Represented NC Dynamics Incorporated and its shareholders in a sale of stock to Aerospace Holdings, Inc. Represented Universal Services of America, Inc. in its acquisition of Security Forces, Inc. Represented Sanders Industries in its acquisition of the stock of CMI Rubber Company, Inc. Represented Dynamic Medical Systems, Inc. and its shareholders in the sale of its equity to Invacare Continuing Care, Inc. Represented Herbalife Ltd. (NYSE: HLF) in a reverse triangular merger with iChange Network, Inc. Represented Herbalife Manufacturing, LLC in the asset acquisition of Micelle Laboratories, Inc. Represented Consolidated Precision Products, an entity owned by Arlington Capital Partners, in its acquisition of Wollaston Alloys, Inc. Represented Sanders Industries in the acquisition of stock of Fabritech, Inc. Represented Kelcourt Plastics, Inc. in the sale of assets to PPC Industries, Inc. Represented Raybern Foods, Inc. in the sale of a controlling interest in its subsidiary Raybern Foods, LLC to TSG Raybern, Inc. Represented Mars Air Systems, LLC in the sale of assets of its Ares division to Essick Air Products, Inc. Represented Sky Blue Foods, LLC, a newly formed subsidiary of Connecticut Pie, Inc., d/b/a Diana's Bakery, in connection with acquisition of assets of Simply Blues Food Marketing, Inc. Represented Applied Computer Solutions in the sale of assets to affiliates of Pivot Acquisition and SCF Growth Equity Ltd. Represented Sanders Industries in the acquisition of assets of Pratt & Whitney Composites, Inc. Represented Universal Protection Service in the purchase of assets from D.N. Security Services, Inc. Represented Chace Productions, Inc. in the sale of its assets to Deluxe Digital Media Management, Inc. Represented Northrop Grumman Systems Corporation in the acquisition of Sonoma Photonics, Inc. Represented Workway Nursing, Inc. in the acquisition of Outsource Medical, Inc. Represented GHD, Inc. in the acquisition of RoseWater Engineering, Inc. Represented Maly's of California, Inc. in its sale to L'Oreal USA, Inc. Represented Longs Drug Stores in the sale of stores located in California and Colorado to Walgreen Co. Represented Safety Systems Hawaii, Inc. and affiliates in a sale to an affiliate of Marwit Capital Partners II, L.P. Represented Ryan Herco Products Corp. in its sale to Flow Solutions Holding, Inc. Represented Sanders Industries in the acquisition of Northern Engineering (USA) Inc. Represented Professional Appearances, Inc. dba AllHeart, in its sale to Friend Skoler & Co., Inc. Represented Beckman Coulter, Inc. in the acquisition of Lumigen, Inc. Represented Pacific Architects and Engineers, Incorporated (PAE) in its sale to Lockheed Martin Corp. Represented Barrington Associates in its sale to Wells Fargo & Co. Represented Longs Drug Stores in connection with its purchase of numerous pharmacies from Network Pharmaceuticals, Inc. Represented The Boeing Company in the acquisition of Aviall Inc. Represented Universal Care, Inc. in the sale of its health plan assets to Health Net of California, Inc. Represented Adams Rite Manufacturing Co. in its sale to ASSA ABLOY Inc. Represented Campbell Companies in the sale of substantially all their assets to BMC Construction, Inc. Represented Sanders Industries in the acquisition of Creavey Seal Company, d/b/a G.F.C., Inc. Represented Rubbercraft Corporation of California, Ltd. in the acquisition of Bobber Products, Inc. Represented Specialty Surgical Centers in the sale of certain ownership interests to Symbion Ambulatory Resource Centres, Inc. Represented Automatic Rain Company (dba Horizon) in the sale of its assets to SCP Pool Corp. Represented Canfield and Associates, Inc. in connection with the sale of substantially all of its assets to Provider HealthNet Services Inc. Represented Walnut Investment Corp. in a sale of stock to an affiliate of Quad-C Management, Inc. Represented management in the acquisition by Management and Warburg Pincus LLC of SDI Media Group, Inc. Represented Dow Stereo/Video Inc., in its sale of assets to Tweeter Home Entertainment Group, Inc. Represented KIK International, Inc. in its acquisitions of T-Chem Holdings, Inc. Represented Corvest Promotional Products, Inc. (a Trivest Companies portfolio company) in its acquisition of Gootnick Enterprises, Inc. Represented Northrop Grumman Corporation in purchase of the assets of California Microwave, Inc. Represented Northrop Grumman Corporation in its purchase of certain assets of Teledyne Industries, Inc. Represented Sanders Industries in the acquisition of assets from Leggett & Platt, Inc. Represented Higher Octave Music, Inc. in its sale to Virgin Records America, Inc. Represented The Boeing Company in the sale of its commercial electronics operating unit to BAE Systems Controls, Inc. Represented Northrop Grumman Information Technology, Inc. in connection with its acquisition of Mobile Access Software, Inc. Represented Northrop Grumman Space & Mission Systems Corp. in its acquisition of Illgen Simulation Technologies, Inc. Represented The Boeing Company in the acquisition of the stock of Frontier Systems, Inc. Represented The Antique Guild, Inc., a chain of antique stores, in its sale of assets to TAG Acquisition Corp. Represented Welch & Associates, Inc. in its acquisition of the assets of Thompson & Thompson Insurance Agency, Inc. Represented Northrop Corporation in the sale of a subsidiary, Wilcox Electric, Inc., engaged in the manufacture of aircraft landing system equipment, to Thompson S.A. Represented F.D. Titus and Son, Inc. in the purchase of a medical supply business from Deckert Surgical Company, Inc. Represented American Health, Inc., a managed care company in its acquisition of Integrated Medical Marketing Systems, Inc. Represented the Management Group in a leveraged buy-out of The Scientific Services and Systems Group division of Wyle Laboratories in conjunction with William E. Simon and Sons, Inc. and The CIT Group/Business Credit, Inc. Represented Pacific Fitness Corporation in the sale of certain product lines to Stairmaster Sports/Medical Products, Inc. Represented Financial Network Investment Corporation in its merger with an affiliate of Aetna, Inc. Represented the selling shareholder of Douglas Roesch Communications, Inc. in its sale to Pinkertons, Inc. Represented Gateways Mind Tools, Inc. in its acquisition of the assets of North American Gateways Corporation. Represented Northrop Grumman Corporation in the sale of its Norwood Division to AlliedSignal, Inc. Private placements for companies in industries such as distribution, real estate, bio-technology, healthcare, etc. Represented Wedbush Morgan Securities as underwriter for The Sirena Apparel Group, Inc. Represented Allen Technologies, Inc. in the placement of securities with Precision Industries, Inc. Represented Churchill Environmental & Industrial Equity Partners, L.P. in an equity investment in Horizon Waste Services, Inc. Represented Adir International LLC dba La Curacao in the sale of Series B Preferred Units to Adir Services Corp. Represented Northrop Grumman Systems Corporation in the Series C financing of Daylight Solutions, Inc.
Stratasys Buys 2 US 3D Printing Cos.
Mr. Braun is a frequent lecturer on mergers and acquisitions and complex corporate transactions.